This weeks Aquarium Maintenance Tip is going to focus on the mysterious world of the refugium. If y ou own a saltwater aquarium, you have probably heard the word, but what is it and what benefits will adding one to your system bring? Let’s start with what a refugium is. 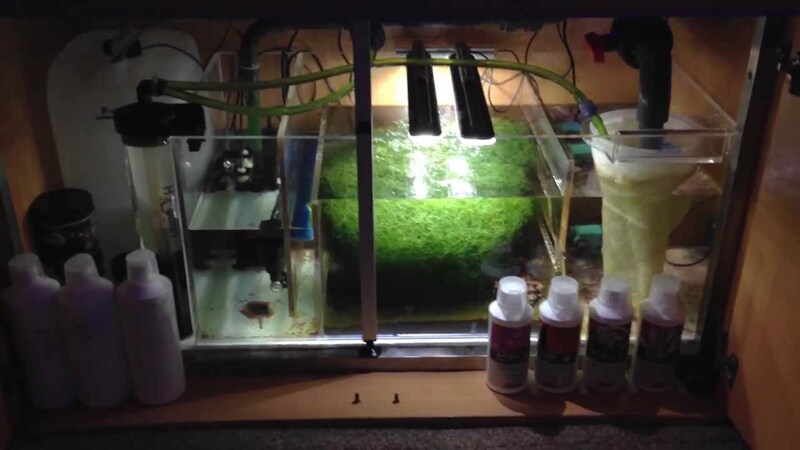 A refugium is basically an area that can be located on the back of your aquarium, in a compartment in your sump or in an aquarium attached to your system. 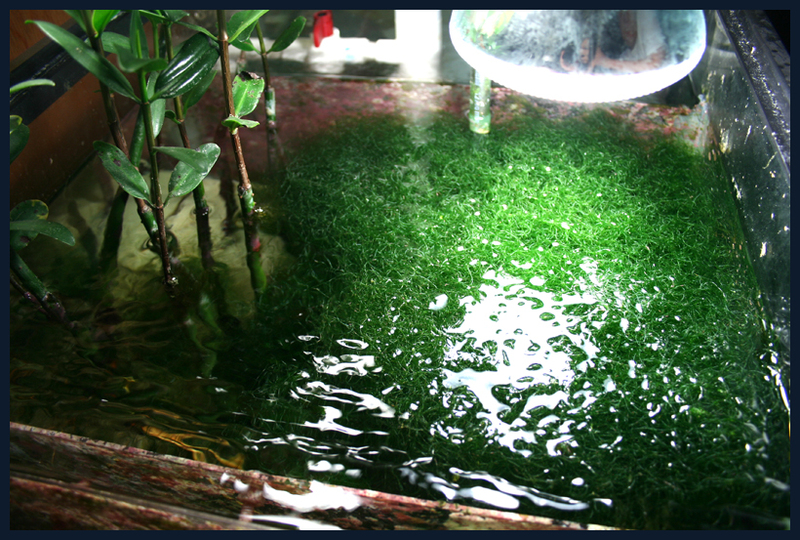 Usually, a refugium is used as an area to grow macro-algae or to store extra live rock or rock rubble. Refugiums can also be used to store other things, but let’s stick to the basics in this article. So why would you want to store macroalgae or rock rubble in a separate area of your tank? Macroalgae, under the correct lighting, can grow at a remarkable rate. In order for macro algae to grow, it needs a source of nitrogen, and it finds this source through every aquarists worst enemy…Nitrate. By growing Macroalgae, you are reducing the level of nitrate in your aquarium and thus reducing the number of nuisance algae that you have to look at in your main display aquarium. If you set the lights on you refugium to go on around the same time that you set the lights on your display tank to shut off, you actually will be keeping your pH stable. But how is this possible? Well, during the day when the lights in your aquarium are on, anything that’s utilizing photosynthesis is actually sucking up CO2 and thus raising the pH of your water. When the lights go out, and photosynthesis ends, CO2 begins to build up…and since CO2 is acidic, the pH in your aquarium goes down…coral doesn’t like this. So by setting your refugium to go on at night, you are still allowing photosynthesis to take place, and the refore you are still keeping your pH at a stable level. Common macro algaes to add include chaeto algae and caulerpa. As these algaes grow, you will need to periodically rip them in half and remove the excess to allow further growth. One last benefit of a refugium is that they allow an area for live foods such as copepods and amphipods to thrive away from the hungry jaws of fish. This will create a constant flow of live food to run into your main tank thus providing your fish with the most nutritious food they can get. We at Aquarium Service Professionals truly hope that you found this weeks Aquarium Maintenance Tip from the Pros helpful. If you have any questions, please feel free to contact us.